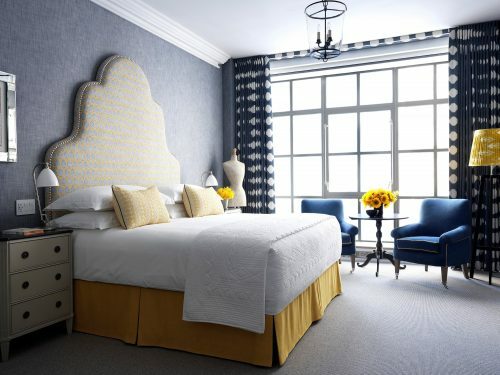 Tim and Kit Kemp, founders of Firmdale Hotels, have just opened their second NY property at 18 West 56th Street, 2 blocks from Central Park and steps away from great shops, restaurants and museums. The Whitby is as stylish as their downtown Crosby Street Hotel – in fact, I prefer it, finding the public spaces warmly inviting and the top floor 2-bedroom suite with furnished terraces divine. All the comfortably spacious rooms are flooded with light and delight with the choice of art, fabrics and attention to detail. Each room is unique and so, if you come and go with regular frequency, try them all until you find the one that perfectly suits!